Season 3 Coming Spring 2019! 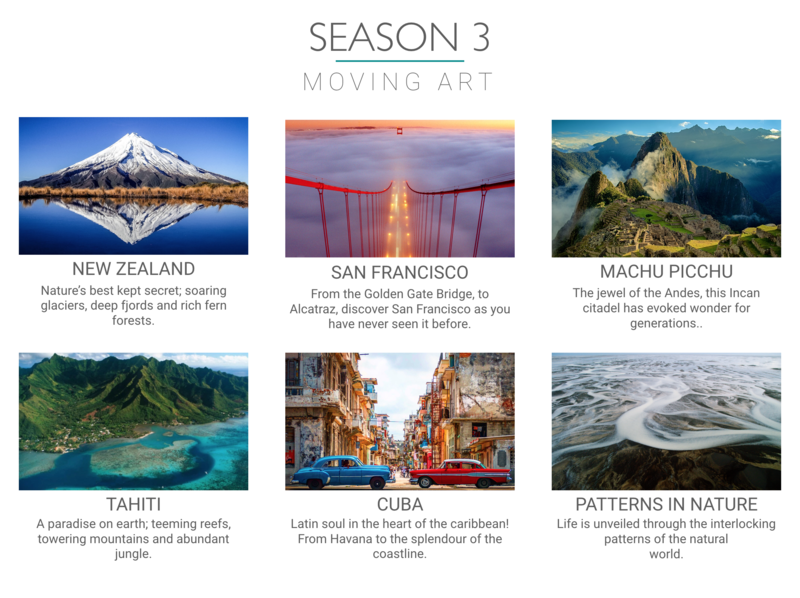 Moving Art by Louie Schwartzberg has been selected to partner with Netflix to produce a third series of his award-winning Moving Art series, following a successful Season 1 & 2. With over 120 million Moving Art viewers across various delivery platforms, award-winning filmmaker Louie Schwartzberg will be producing 6 new epic explorations to visually stunning corners of the world. Join over 300 million Netflix viewers around the globe who are moved by wonder and awe.